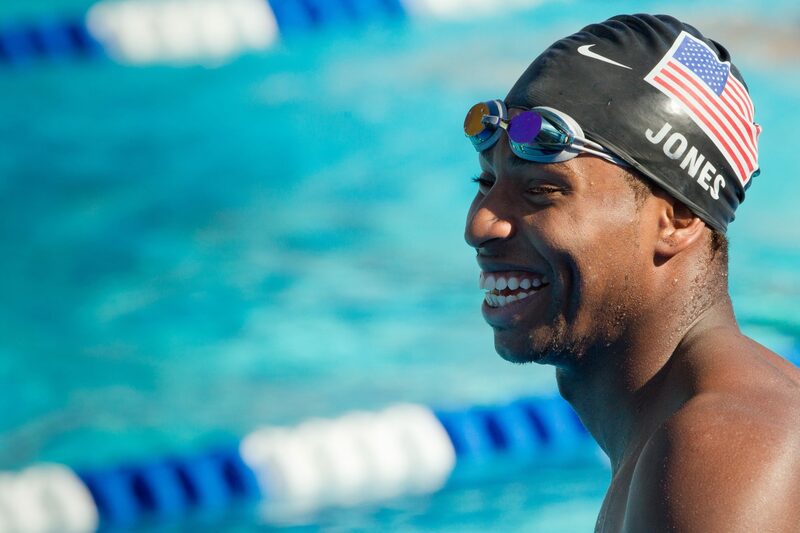 Four-time Olympic medalist Cullen Jones is the headliner for the 2014 Fighting Irish Swim Clinic that will be held on September 20th at Notre Dame. Jones, a former NCAA Champion at N.C. State, is the American Record holder in the 50 meter freestyle (21.40), and in addition to three career Olympic relay medals, also took silver individually in the 50 free at the 2012 London Summer Olympic Games. These clinics, that Notre Dame has hosted for each of the last four years, are a part of the annual Coaches vs. Cancer drive in collegiate sports that is designed to raise money for cancer treatment and research. In three years since head coach Brian Barnes began these clinics in 2011, they’ve raised almost $50,000 for local South Bend RiverBend Cancer Services. Barnes and his University of Notre Dame women’s team will combine their efforts with Jones for the event, that will include two hours of in-the-water instruction, along with a Q&A and autograph session afterward. Jones’ participation was arranged through several connections to the Notre Dame women’s program. Irish star Emma Reaney, the American Record holder in the 200 yard breaststroke, spent the summer training with Jones at SwimMAC Carolina in Charlotte; and both Jones and Barnes were a part of the American contingent that traveled for the Mare Nostrum series in Europe this summer. The clinic is designed for swimmers aged 8-18 and will run from 11:30 A.M. until 2:30 P.M. The cost is $75 per participant.